How many of us look up? Seriously. When you're going from point A to point B, do you look up, straight ahead or down? I have to admit I tend to look down. I've reached the age where not falling is a thing to be savored so I watch where I walk. And, I find a lot of loose change, but there is so much above our heads which we don't see because we look straight ahead or we are looking down. Here is a case in point. 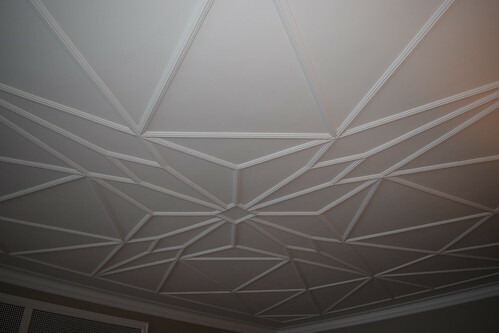 Is that not a different ceiling? It was in the entry of a building where I had a couple of inspections. The building is over 100 years old. 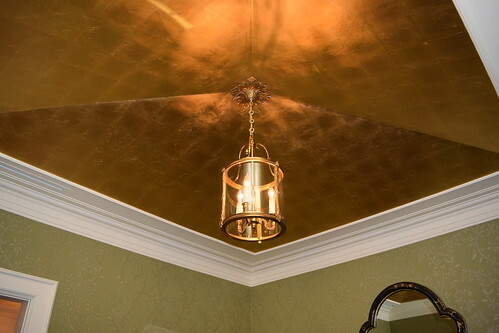 I have no idea if the ceiling is original and lovingly restored, or something from a later renovation. It's just different. Here is the ceiling of the area outside the elevator on the floor where I had inspections. 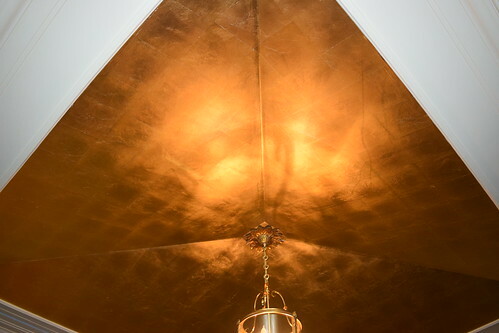 I was told this is gold leaf. This is not original to the building but was added in the 1920's. You can see the edges of the thin sheets of gold. 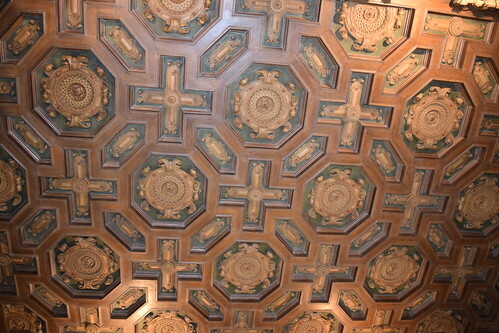 Finally, this was the ceiling of a room I inspected. Granted, I would notice things like this because I get paid to look at the floors, walls and ceilings, but it made me realize that looking up gives you more beauty than your narrow down or across focus. I wonder what other ceilings I've missed.